The home of Celtic Football Club, Celtic Park stands proud, about 1 mile east of High Street in Glasgow's Merchant City. An imposing stadium, it has been host to many exciting football matches over the decades. Now and again, it holds HUGE concerts, attracting world famous start to Glasgow. If you're visiting Glasgow for an event a Celtic Park, all the best bars, restaurants and hotels are a short hop back to the Merchant City. That's where our focus for your best evenings takes us. Have a wonderful time at Celtic Park. If your event at Celtic Park is part of an Big Date, finding the perfect restaurant nearby Celtic Park for an intimate pre theatre meal is important. Time to visit Merchant City. City Merchant /Browse/Restaurant/City_Merchant(reveal best table deals?) serves top quality Scottish cuisine. With an emphasis on fish and other Scottish game, this charming restaurant has been one of the leaders of the pack in terms of Glasgow's rise in culinary glory. Your Celtic Park pre theatre meal is a sure fire winner at City Merchant. Gandolfi Fish /Browse/Restaurant/Gandolfi_Fish(reveal best table deals?) keeps the quality meals and service as high as the original Cafe Gandolfi. Experts in the creating of mouth watering fish dishes, they really understand how to deliver the best Scottish fishy cuisine. And the huge windows let the light flood into this lovely restaurant, keeping it airy and feather-light. 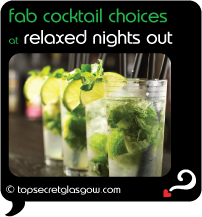 Getting excited before your Celtic Park event? Having a drink beforehand helps to get the party started. And a drink after a thrilling show keeps everyone happy. Across Brunswick Street from Brutti Ma Buoni, the stately old Sheriff Court Building is home to the glorious Citation (tel: +44 (0) 141 559 6799) . A head spinning cocktail list and al fresco tables on the ground and 1st floor make this place tops for hanging out with friends in the party mood. Merchant City is home to a couple of classy old gents who seem to own this area of the city. Both hidden from view, nearby Celtic Park. 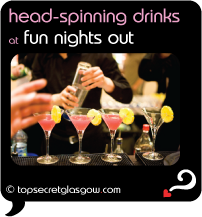 Off the main drag of Glassford Street, Rab Ha's (tel: +44 (0) 141 572 0400) has a huge shining bar, creaking wooden floor and more draughts on offer than just about anywhere else in the city. Perfect for a relaxed chat with friends or your date. Have a laid back end to your evening here. With any luck, you'll have some time on your hands, as part of your visit to Glasgow. Grab your camera and head out for some tourist exploring, nearby Celtic Park? Radisson Hotel /Browse/Restaurant/Collage(reveal best table deals?) http://www.laterooms.com/en/p8275/hotel-reservations/84449_radisson-sas-glasgow-glasgow.aspx(reveal best room deals?) makes a bold statement on Argyle Street. 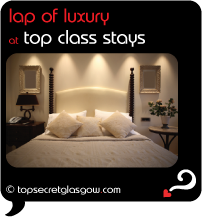 Award winning design combines with excellent service and stylish rooms to create some of the best nights in the city. Enjoy. Hiding from bustling Glassford Street in Merchant City, Merchant Lodge http://www.laterooms.com/en/p8275/hotel-reservations/149905_the-merchant-lodge-glasgow.aspx(reveal best room deals?) makes the very best of its classic, restored building. Cosy and snug, expect a warm welcome and a dreamy stay here. Close to everything in Merchant City and city centre, you've chosen an ideal place to explore Glasgow. And its a short walk to Ramshorn Theatre. Express by Holiday Inn Riverside http://www.laterooms.com/en/p8275/hotel-reservations/3189_express-by-holiday-inn-glasgow-city-riverside-glasgow.aspx(reveal best room deals?) looks after guests very well indeed. 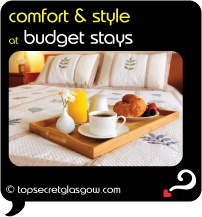 Comfy rooms and access to just about everything in the city centre and Merchant City make for stays you'll long remember. How was your event at Celtic Park? Got a story you'd like to share with everyone? Cool! Let's talk. And let's share. Tell us about your fun times at and nearby Celtic Park here and we'll then publish your very own Top Secret Glasgow pages on the web. 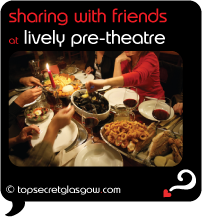 Then you can impress friends and family with the amazing times you're having in Glasgow. Remember to add a photo, if you have one.